You can change the style of this page — just click a link in the box above. 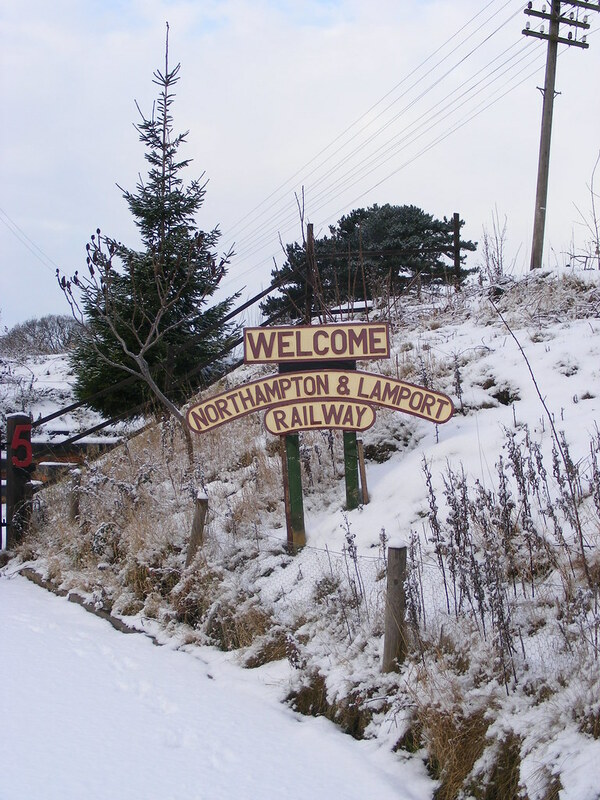 The Northampton & Lamport Railway is a standard gauge heritage railway in Northamptonshire, England. It is based at Pitsford and Brampton station, near the villages of Pitsford and Chapel Brampton, roughly 5 miles (8.0 km) north of Northampton. The Northampton to Market Harborough line finally closed on 16th August 1981, the intermediate stations on the route having been closed for many years. In 1984 a group was formed with the intention of opening a section of the line as a heritage railway. The site opened to the public shortly afterwards. Following the granting of a Light Railway Order, A statutory Instrument. The Light Railways Act 1896 was an Act of Parliament which defined a class of railways with the intention of enabling development of such railways without legislation specific to each line. A light railway is not a tramway but a separate class of railway. the line carried its first fare-paying passengers in November 1995. The official Grand Opening Ceremony took place on 31st March 1996. Currently, passenger trains operate on a section of line approximately 1½ miles (2.4 km) in length, departing from and arriving at the only station, Pitsford and Brampton. An extension south is under construction which will add another ½ miles (0.8 km) mile of running line, with around 75% of tracklaying completed as of January 2010. When complete it will include a station with sidings and run-round loop at the former Boughton Crossing on the A5199. Trains run from March to October, plus Santa Specials in December and Mince Pie Specials at the beginning of January. A number of Special Events take place each year. Full details of running days and events can be found on the Special Events page. The Railway runs alongside the Brampton Valley Way A 14-mile (22.5 km) linear park based on the former trackbed of the Northampton to Market Harborough line. The 13-mile (20.9 km) Northamptonshire section was purchased by Northamptonshire County Council with grant aid from the Countryside Commission in 1987. [ More... ] which is a 14-mile "linear park" open to walkers and cyclists (and also horseriders on sections away from the Railway) built on the former trackbed. Perhaps it is due to this that many people refer to the line as the "Brampton Valley Railway". Northampton & Lamport Railway Fotopic page. Northampton & Lamport Railway collection at flickr.